You have to love holidays that center around red and candy! This is our dining room table. 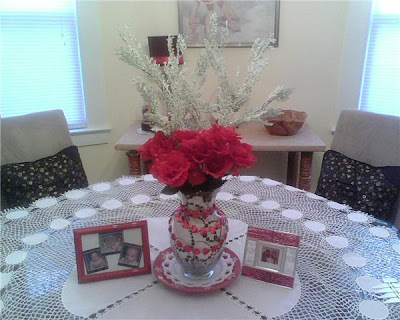 Its pretty straightforward - the white and black inside the vase is cloth and the red hearts are a necklace from New Orleans. How can I be invited to this year's VDay celebration? This '09 tablescape makes me want to go back to the future... or something. Click here for details. This one has a lot of ideas wrapped in one post - decouppage the letters, fill the vase...and some other stuff I can't remember. Click here to see. Stephanie revamped her tired, Christmas foliage into a more seasonably acceptable wreath. Click here for details. Buy candy, rewrap in your own custom love-gram, claim to have made the whole thing from scratch, incur the wrath of Nestle. Or just do the first few steps and skip the lawsuit. 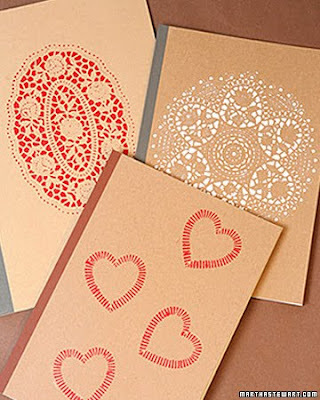 Martha Stewart's people think stenciling through doilies is the way to go this season. Click here for the explanation on how to ... stencil through a doily. Technically not red but a great solution to those adorable-looking, foul tasting sweetheart candies. 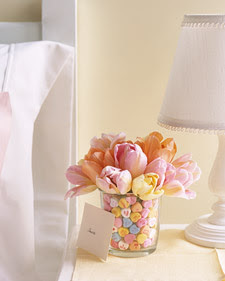 Place regular flowers in small vase, place small vase in larger vase and fill the space between with candy. Consider it tasty magic. Hi there-how lovely and some very inspirational ideas!! I like your setting, very stylish and colour co-ordinated!! 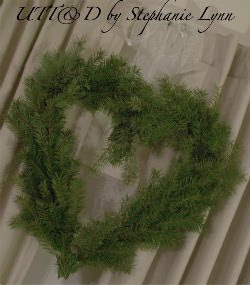 Love the heart wreath from Christmas greens! I love what you did with your vase!! Great ideas :~) Thanks for visiting me!! I adore those love letters-- awesome table idea! Thanks. Dude have you ever had the fruity conversation hearts? They're the best but so hard to find! NOM! These are all so very romantic, will try to set something like this up after the baby goes to bed. That reminds me, now I got to get on Valentine's day crafting. 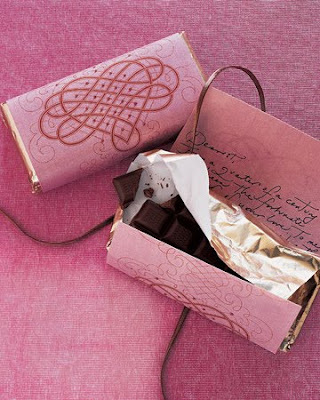 I love the Valentines ideas. Thanks for following me! Thanks so much for including me! I have to apologize for the extreme delay in responding to your email. My computer crashed and I recently had all my files recovered. I am now going through the emails and finding a lot that I know I did not originally see and know I did not respond to…so I do apologize. I am thinking they went directly to my spam program. I greatly appreciate your comments and again I apologize for the delay.